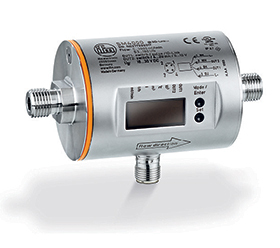 The new SM4 type flow meter from ifm electronic operates according to Faraday’s law of induction. The conductive medium flowing through a pipe in a magnetic field generates a voltage which is proportional to the flow velocity or volumetric flow quantity. This voltage is tapped via electrodes and converted in the evaluation electronics. Its resistant materials mean the sensor is suitable for a multitude of media. A high protection rating and a robust, compact housing distinguish the meter in its field. Visit the stand at Electra Mining Africa Expo 10-14 September, Hall 7, stand C01, for a live product demonstration as well as other new and innovative technology.